The state of the Odisha is rich in natural resources. One of these resources is the land that is covered by forests. These forests are not only inhabited by animals of various kinds, but many tribes have also found a refuge in the thickets. 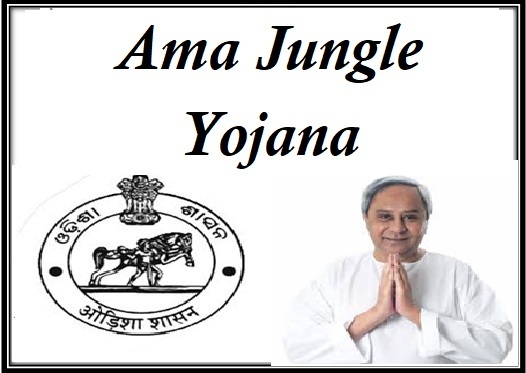 With the assistance of a scheme like Ama Jungle Yojana, the state government of Odisha is trying to bring about development in the jungles and the lives of the tribal people. Improvement of the forest area – In the recent times, the forest is under threat due to the rapid rate of urbanization and industrialization. With the implementation of the project, the state government aims at conserving the forest areas. They will not only save the ecosystem but will also develop the resources. Tenure of the scheme – The vastness of the project compelled the state government to take the target of completing the project within a span of 8 years. Phases of the scheme – There are many forest areas in the scheme and thus, all areas cannot be taken up at the same time. For that, the scheme will be divided into many phases. Developing the lifestyle of the tribal people – Apart from developing the forest resources, the scheme will also work toward the development of the lifestyle and existence of the tribal people in the area. Providing livelihood for the tribes – The other feature of the scheme is to use the forest resources in such a way so that the tribal people are provided with alternate sources of income. The scheme has taken up the target of development about 5000 hectares of land by the end of the specified time span. The task of implementing the concervational activities will be carried out by the members of the Vana Suraksha Samitees. The entire area under the forests will be divided into 30 Wildlife Divisions. The responsibility of the scheme will be placed on the shoulders of 5000 VSS. It will be the task of the VSSs members to encourage the people, living in the villages, especially the women in participating in the restoration programs. Each rural area will have one VSS at least. With the completion of each phase, the number of VSSs will be increased. The number of VSSs formed will be 1000 at during the 1st phase. The number will increase by 2000 during the second and the third phase each. Apart from developing the life of the tribal people and the conservation of the forests, the task of reforestation will also be taken up. The responsibility of populating the area with new tress will be placed on the shoulders of the Assisted Natural Regeneration. Apart from these activities, the department will also perform the task of surveying, mapping and demarcating the forested areas. Based on these, the micro planning will be carried out. The scheme will require a whopping amount of 517 crores. Of that Rs 424.625 will go into the preservation of the forests. State Plan Scheme’s Community Forest Protection and Management will provide an amount of Rs. 50 crores. The rest of the Rs 42.50 crore will be arranged by the National Rural Livelihood Mission. For the implementation of the scheme in all parts of the state, which are covered with forest, the state government has allocated a huge amount of money. With this program, the authorities will be able to conserve the jungles and the lifestyle of the tribes in that area.